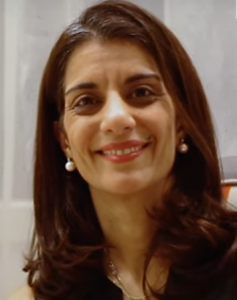 Sanam Naraghi-Anderlini is the Founder and Executive Director of ICAN, spearheading the Women’s Alliance for Security Leadership (WASL) with member organizations active in preventing violent extremism by promoting peace, rights and pluralism in over 30 countries. She is an adjunct professor at Georgetown University. In 2011, she was the first Senior Expert on Gender and Inclusion on the UN’s Mediation Standby Team. For over two decades she has been a leading international advocate, researcher, trainer and writer on conflict prevention and peacebuilding. In 2000, she was among the civil society drafters of UN Security Council Resolution 1325 on women, peace and security. Between 2002 and 2005, as Director of the Women Waging Peace Policy Commission, Ms. Anderlini led groundbreaking field research on women’s contributions to conflict prevention, security and peacemaking in 12 countries. Since 2005, she has also provided strategic guidance and training to key UN agencies, the UK government and NGOs worldwide, including leading a UNFPA/UNDP needs assessment into Maoist cantonment sites in Nepal. Between 2008-2010, Ms. Anderlini was Lead Consultant for a 10-country UNDP global initiative on “Gender, Community Security and Social Cohesion” with a focus on men’s experiences in crisis settings. In 2018 she was invited to join the Commonwealths Panel of Experts on Countering Violent Extremism (CVE). She is also a member of UNDP’s Civil Society Advisory Council. Prior appointments include the Advisory Board of the UN Democracy Fund (UNDEF), the Civil Society Advisory Group (CSAG) on Resolution 1325, chaired by Mary Robinson in 2010 and the Working Group on Gender and Inclusion of the Sustainable Development Network and between 2005-2014 she was a Research Associate and Senior Fellow at the MIT Center for International Studies. 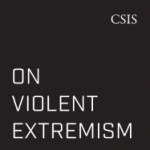 Ms. Anderlini has published extensively on peace and security issues, including on Iran and Saudi Arabia, the phenomenon of violent extremism, and women’s agency in shaping national security. In 2007 she published Women building peace: What they do, why it matters (Lynne Rienner) . She was the 2014 recipient of the United Nations Association of the National Capital Area Perdita Huston Award for human rights and the 2016 Greeley Peace Scholar at the University of Massachusetts. Her media appearances include the BBC World Service television and radio. Her editorials have appeared in The Guardian, Foreign Affairs, Open Democracy, Ms. Magazine and other publications. She holds an M.Phil in Social Anthropology from Cambridge University. Iranian by birth, she is a UK citizen, and has twin daughters. Yet again the UN failed to reach out and listen to the solutions and recommendations that civil society had to offer. Does a 21,600 pound bomb solve the Daesh problem? Will women be turned away from the UN Commission on the Status of Women, to be held in March, in New York? The world’s global institutions must fight the ‘Muslim Ban’, starting with the United Nations.